Two US submarines and one British submarine in a military exercise for a temporary base on a mobile ice sheet that includes a dining hall for 50 people, a runway for fixed-wing aircraft and toilets designed to protect the fragile ecosystem region from the impact of human waste. The director of Arctic Submarine Laboratory, Larry Estrada, said on Wednesday: “The advantage of having a camp on the ice floe is a stable platform to deploy a range of tracking, sensors and test equipment for the exercise. “For this year’s exercise, the Navy needed a large and very stable ice flow to support the tracking range and a fixed-wing runway,” the US Navy said in a press release. Prudhoe Bay, Alaska, is located in the heart of Prudhoe Bay. In addition to its command and control capabilities, the temporary camp hosts a galley capable of feeding more than 50 people, a medical bay for potential injuries, a diving shelter, torpedo recovery, basic bathing infrastructure and warm storage for scientific experiments and equipment that should not be frozen, the release noted. The Seawolf USS Connecticut fast-attack submarine, the USS Hartford-class fast-attack submarine and the British Royal Navy submarine fighter-bomber HMS Trenchmant are participating in the annual ice exercise (ICEX), the statement said. After completing the exercise and the departure of the submarines, the Navy and team members of the University of Alaska Fairbanks and Ukpeagvik Inupiat Corporation will dismantle the camp and return the site to its original state, according to the statement. 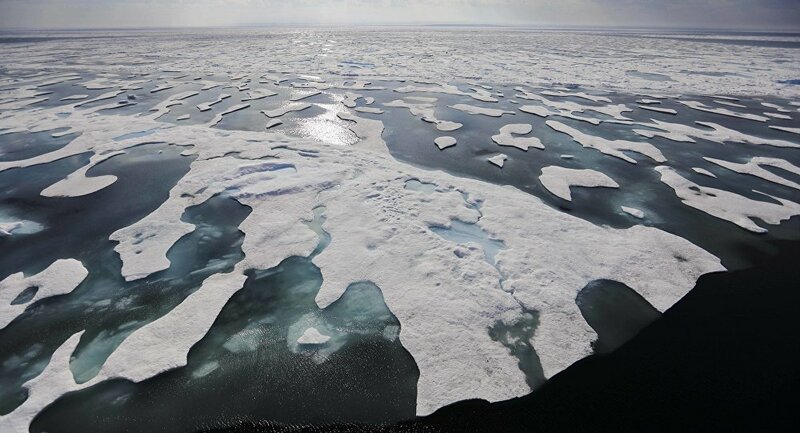 Nations bordering the Arctic, including the United States, Russia and Canada, are actively seeking ways to develop enormous energy, mineral and fisheries resources that are believed to be under the ice.